At the heart of our Zen Buddhist Practice is seated meditation (zazen). It is through meditating that we cultivate awareness and can come home to ourselves, reconnecting with a sense of stillness, stability and groundedness. 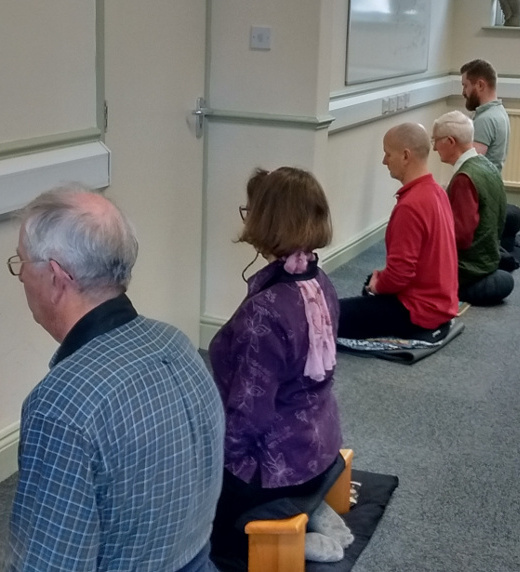 With time and regular practice we find that increased stillness and clarity gradually leads us to become less ‘driven’ and to act in more skilful ways in our daily lives. 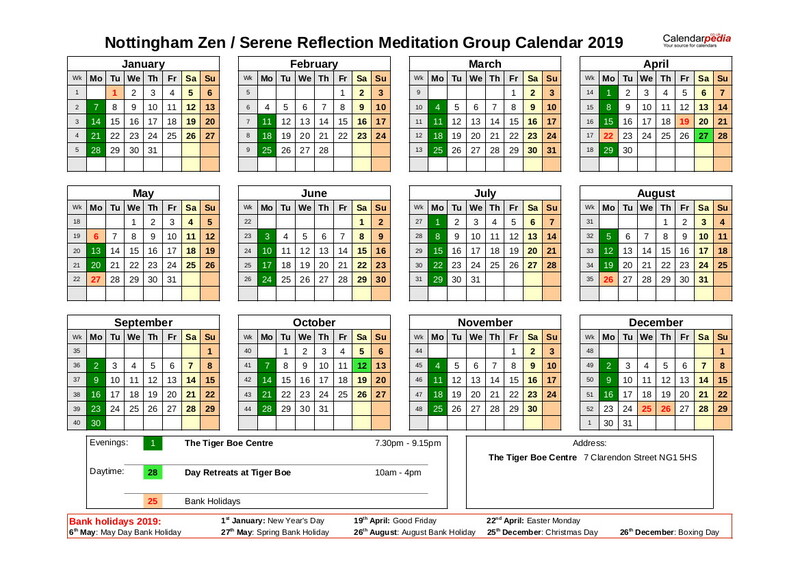 Soto Zen meditation is also called ‘Silent Illumination’ or ‘Serene Reflection Meditation’, the description used in our tradition. 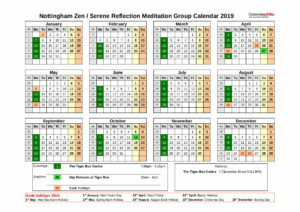 From group members: Two lay members of the Nottingham Zen Serene Reflection Meditation (Zen/SRM) group have been licensed by the Order of Buddhist Contemplatives to give meditation instruction in the Soto Zen tradition. Turning Wheel Buddhist Temple in Leicester holds introductory events on alternate Tuesday evenings and some Saturdays. If you can’t make these times you can contact Rev. Aiden by telephone or email. He can usually arrange an introduction at another time that will suit you. 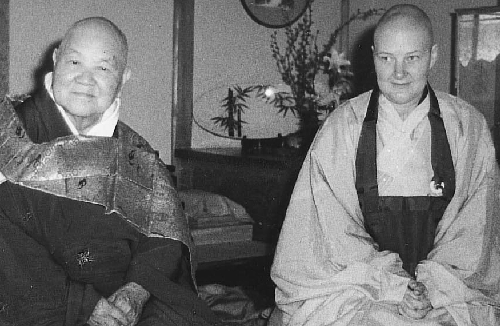 If you would like to learn more about Soto Zen Meditation there is an Introductory Video available to view, produced by Throssel Hole Buddhist Abbey. The free downloadable book, ‘Sitting Buddha’, introduces Soto Zen Meditation. It is written by the Abbot of Throssel Hole Buddhist Abbey, Rev. Master Daishin Morgan. ‘Zen Mind, Beginner’s Mind’ by Shuryu Suzuki, is a classic introductory collection of talks about Soto Zen Buddhist practice.